The enchanting Orkney archipelago lies 10 miles north of the Scottish mainland. It comprises 70 islands, 20 of which are inhabited. Orkney is known for stunning landscapes, abundant wild life, and ancient history. 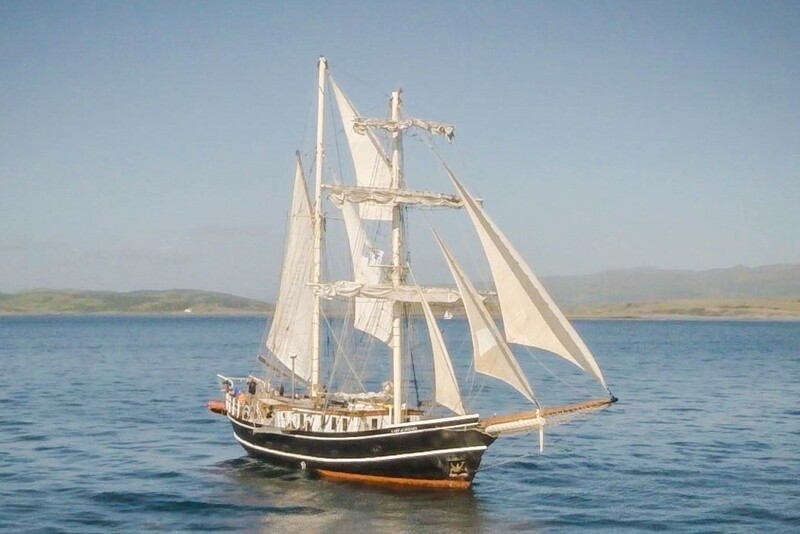 Lady of Avenel departs Kirkwall, on Orkney’s main island, for a 6-day voyage to explore these islands. 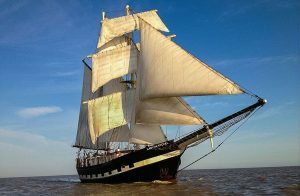 Be part of the voyage crew, learn to sail a Brigantine and live like an explorer. Try your hand at navigation in an interesting area with fast tidal flows. Climb the rigging. Steer the ship. Cook dinner. Relax, read, paint and have fun. We will circumnavigate the archipelago, spend nights in secluded anchorages, observe wildlife and visit historical sites. The precise itinerary will be planned take advantage of the weather and be influenced by the interests of the guests. Sail to the Old Man of Hoy, a sea stack famous among rock climbers. Observe wildlife such as seals, dolphins, whales, puffins, kittiwakes and tysties. Delve into history: at the end of World War 1, the Germans scuttled their fleet in the vast natural harbour of Scapa Flow. Visit Europe’s most complete Neolithic village, Skara Brae. As reported on BBC Scotland, Orkney was recently voted the UK’s happiest place to live. This is an opportunity not to be missed. Also see the Orkney tourism information site. The cost is £595 per person, which includes all food and non-alcoholic drinks and accommodation in twin berth cabins. You are responsible for transfer to and from ship and travel insurance. To book a place, email Bill Alexander at bill@ladyofavenel.com. On receipt of this message, we will reserve you a place. To complete the booking complete the ‘Crew Information Form’ and pay a £100 deposit. (Full payment is due 8 weeks before the voyage). On receipt of this we reserve you a place. To complete the booking complete the ‘Crew Information Form’ and pay a £100 deposit. (Full payment is due 8 weeks before the voyage). 2 weeks prior to departure we will email you final joining instruction. We recommend travel insurance – for example www.topsailinsurance.com provide single trip cover for sailing on tallships.